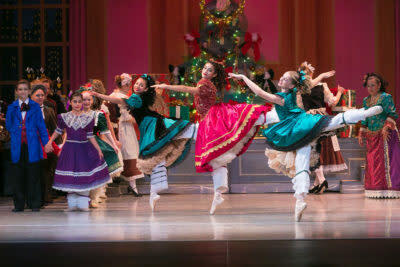 The Lake Arrowhead Classical Ballet Company’s annual production of Tchaikovsky’s Nutcracker, has helped to fulfill the dreams of countless young dancers while forging a memorable bond with our mountain community friends and supporters. Through the years we have witnessed a wonderful sense of pride and ownership from the community demonstrated by the eagerness of neighbors and family to volunteer assistance and to promote not only this holiday favorite but all of our outreach and learning endeavors. Join us for another magical production of the Nutcracker!